Cashmio Signs Up for GiG Comply - Online Gaming at its Finest! 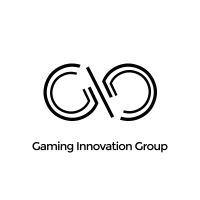 Cashmio officially inked a contract with Gaming Innovation Group (GiG) for full access to its marketing compliance technology, GiG Comply. Through the agreement, Cashmio will reinforce its compliance efforts in key markets as part of its 2019 initiative. Now, we understand this might not be the most exciting news off the block for players. But it speaks volume about Cashmio’s desire to offer fair gambling in the UK. Surely as the regulator puts down the hammer, they’ll look at them in a favourable way. And perhaps new players too. In this new regulated era of online gaming, operators must always find ways to stand out above the competition. In fact, to stay ahead of the curve companies have to depend on more than just being the friendliest and most creative casino. The truth is, in this day in age, compliance is key to build trust with players. And that alone is what brings us to this news. GiG Comply is a monitoring service that’s been designed to respond to the needs of the operators. In other words, Cashmio will now have more control over third-party advertising and brand protection. Also, it improves the visibility of how and where brands are advertised. So this service will help protect Cashmio from promotions on sites that aren’t safe. Plus, it will protect players from misleading advertising too. According to Cashmio CEO Maria Boelius, “From the start, our goal has always been to create the world’s happiest online casino. Indeed, we only look for partners that can help us achieve this, and for many reasons, that’s why we chose GiG”. She went on to express how GiG Comply offers the technology they’ve been looking for and how players are going to benefit from this new agreement. So in terms of holding high standards when it comes down to responsible gaming and marketing, Cashmio is leading the way.